s) against the toughest and the veteran Marco Antonio Rubio (53-5-1, 46 KOs) on Saturday, February 4, 2012. Chavez Jr. believe knows that fighting and beating Rubio is a stepping stone to be one of be a champion. 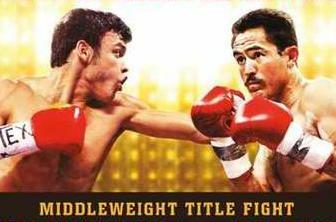 Watch Chavez Jr. VS Rubio as the main event of this fight held at Alamodome in San Antonio, Texas, February 4, 2012. UPDATE: Julio Cesar Chavez, Jr defeated Marco Antonio Rubio via unanimous decision and still undefeated! Congratulations to Chavez, Jr! The video replay of Chavez Jr. VS Rubio will be made available for 1 to 2 days. We will strive our team to deliver the video replay links as much as possible. Just be updated.